Article contributed by Leo Tan. What a way to kick off the new year with another food and tours club outing! The theme for this time was none other than “Indian Food”. Despite the intense workload that we had, the outing had a decent turn up of about 10 persons. The fact that it was the last outing could have also been a motivating factor for some to come. The place that was chosen was none other than Karu’s Indian Banana Leaf Restaurant located at Sime Darby Centre. We arrived at the restaurant at about 1.30pm in the afternoon under the blistering hot sun. Nevertheless, all these guys came with an empty stomach and they were ready as ever to get started. Once the menus were flipped open, orders kept coming. We ordered so much, and then some more. We had two huge bowls of curry fish head, chicken tikka, tandoori prawns, naan plus several others that totaled up to about 12 dishes. Our Colombian friend, Santiago, wanted to add something else from the 3pm menu but to no avail. “No, now cannot. Only 3pm.” the staff replied. The look of disappointment on Santiago’s face was obvious. 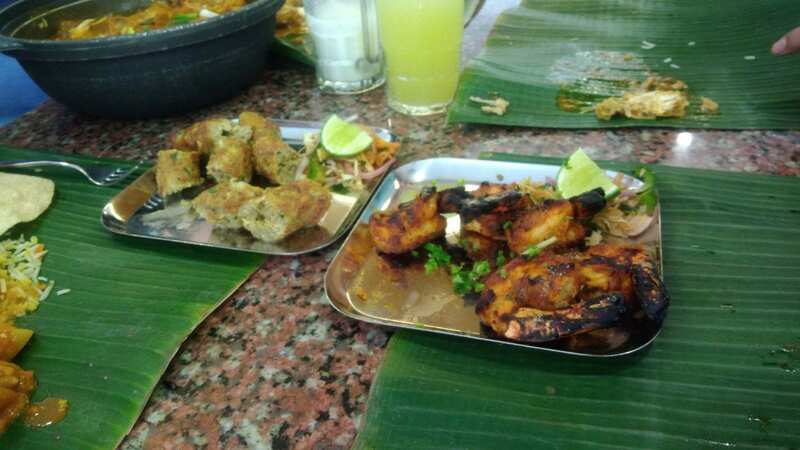 Basmati rice was the first to be served on banana leaves instead of plates. Nobody attempted to eat with their hands though despite my best efforts (it’s apparently a south Indian custom). Then came the vegetable sides dishes and papadum to go with the rice. Thereafter, orders started coming in at a furious pace. 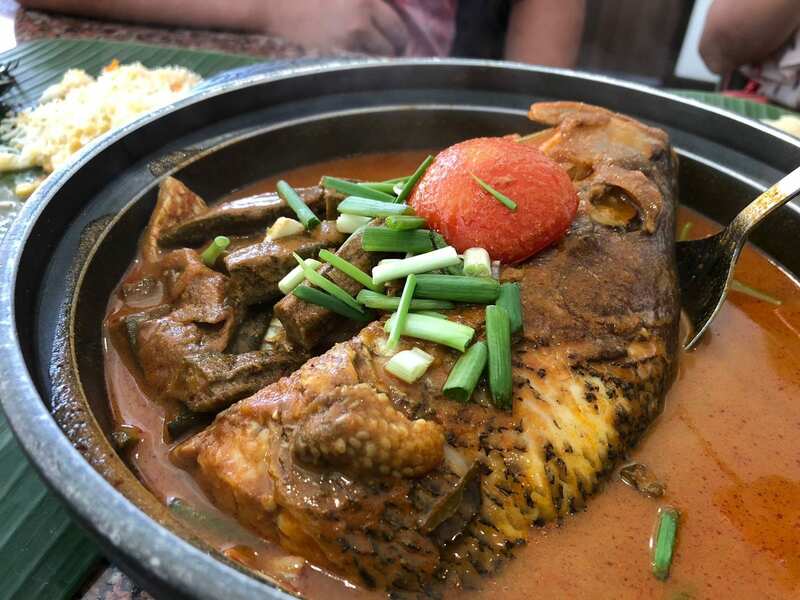 The curry fish head was huge. And then several meat dishes were served shortly after. Chicken, prawn, naan, mushroom, mutton etc. We had a plethora of dishes coming up and too little table space to fit everything. It was a sight to behold actually – 10 hungry MBA students attacking 12 Indian dishes. Everybody dug into the food and the table went silent for a while. Nods of approval were given from my Indian classmates and I knew that my job was done for the day. Yet another success for the food and tours club. The moment was also bittersweet though, knowing that it was going to be the last outing for the club. I was just happy that we ordered enough food to feed these 10 hungry stomachs. It was by no means a small feat, that I can assure you. Conversation topics were interesting as well. We talked a little bit about how North Indian food differed from South Indian food. And then Santiago shared some interesting facts about engineers and their reputation and the misclassification of engineering degrees in Colombian universities. Jokes were cracked while a few sipped on their sweet lassis. There were definitely moments when our noise level was a tad on the high side I’m sure. We also reflected on how time flew, and how quickly the second trimester will be coming to an end in a few weeks’ time. A few of us will be heading off to Tokyo in mid-March for the Nanyang-Waseda program. This also encouraged us to make full use of the remaining time that we have here in Singapore with our fellow course mates. 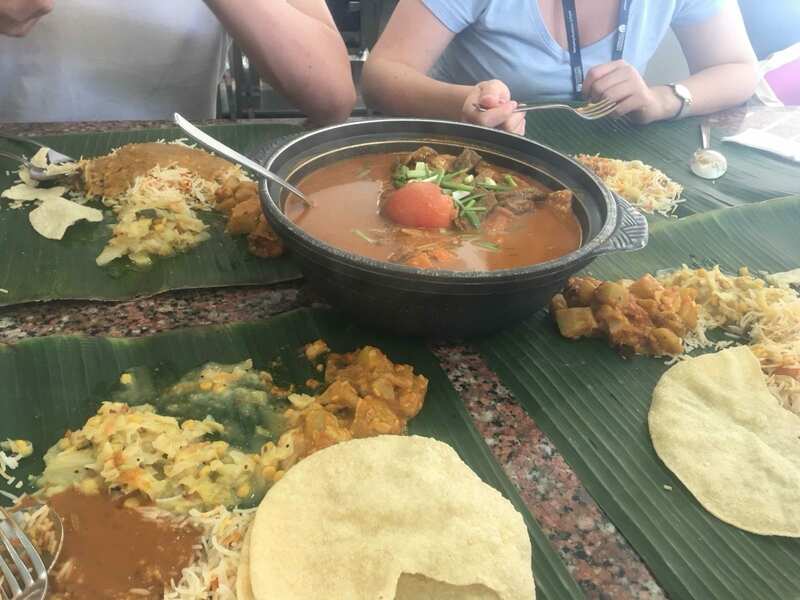 I can safely say that spending the Sunday afternoon chilling out at an Indian restaurant isn’t really my usual thing to do but having an outing with my fellow classmates made it special. It’s not everyday that you get to have 6 different nationalities sitting at the same table and just chilling. Final parting shot with my fellow co-chair, Chao Yang, and the attendees for the day! As a parting message, I would just like to say that it has been a great pleasure to be the co-chair of the 17/18 Nanyang MBA Food and Tours club. 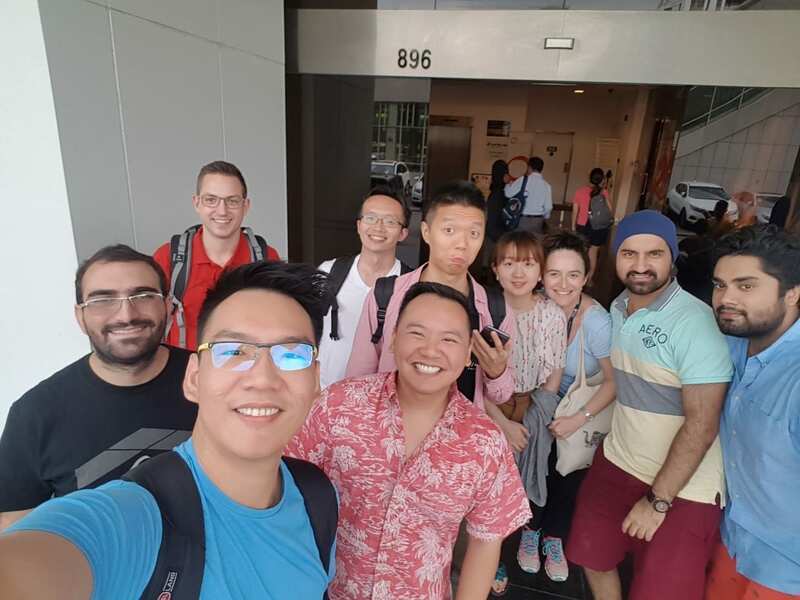 Having had the opportunity to share good food available here in Singapore with my fellow classmates has been a significant highlight of my Nanyang MBA experience. At the same time, I would also like to thank my co-chair, Chao Yang, who has been amazing in helping me organize all the outings. This whole endeavor would not have been possible without his support and enthusiasm. And finally, a huge thank you to the class of 17/18 Nanyang MBA who has joined the various food and tour sessions. On this note, I would like to wish everyone a Happy New Year! May all have good health and prosperity in the year of the Dog.